Nursing is one of the fastest growing job sectors. The demand for qualified nurses in California (How to become a nurse) is expected to rise over the next decade, in part due to the aging Baby Boomer population. Deciding to pursue the RN to BSN programs in California can provide an excellent path towards career growth, and it can provide nurses access to larger salaries and career advancement. Current working nurses holding an ADN and a current California nursing license can enroll in an online RN to BSN degree program. These course offerings typically lead to graduation within 1 to 2 years. 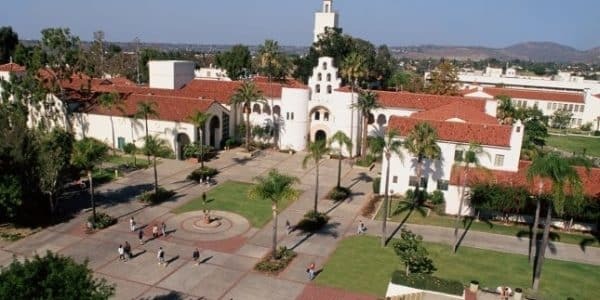 California public universities partner with local community colleges to help those with associate degrees to transition into a baccalaureate program. Earning a BSN can provide nurses with the ability to command higher salaries in this growing industry. If you are a registered nurse holding an ADN and want to earn a four-year degree, check out the following list of the best BSN programs in California. With a host of different tracks and learning settings throughout the state, there’s sure to be a program that’s perfect for you. *NCLEX-RN Pass Rates are the latest available numbers gathered from the California Board of Registered Nursing website. Graduation rates are gathered from the National Center for Education Statistics website. 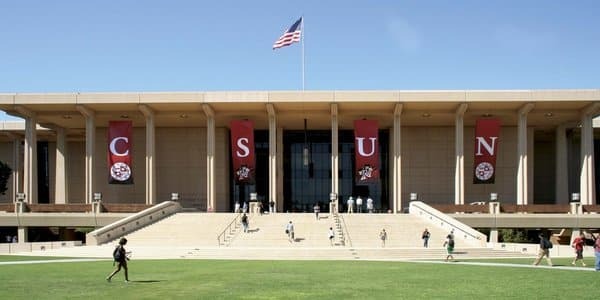 San Diego State University offers a combination of on-campus lectures and clinical work, and students also have the option of studying abroad in a 10- to 14-day program for a unique learning experience. Courses begin every fall. California State University-Stanislaus offers in-person classes that give students an immersive educational experience. Full- and part-time tracks provide flexible options for working nurses, and an online option provides distance learning courses that lead to graduation in as little as a year. The online RN to BSN program at California State University – Chico is geared toward working registered nurses who might otherwise have difficulty attending in-person classes, such as those living in rural areas. The program is offered online and can be completed in 15 months. Some on-campus instruction is required, but typically these requirements don’t exceed a few days per semester. California State University – San Bernardino offers an RN to BSN online program with once-monthly in-person sessions. This program also provides an opportunity to continue past the baccalaureate level to the MSN program. Students already holding a bachelor’s degree are not required to take general elective courses. California State University – Fullerton offers an RN to BSN program for working nurses along with support from a dedicated advisor. Partnerships with area community colleges allow for seamless transition into this program. Students can choose from on-campus or distance learning options. The California State University – Los Angeles Patricia A. Chin School of Nursing offers an RN to BSN program that leads to degree completion within two years. Low tuition and the ability to enter the M.S. degree program make this school a desirable option for working nurses looking to advance their careers. Stanbridge University offers an RN to BSN degree completion program designed to help students advance their careers by providing opportunities for upward employment mobility. Using Edverum, their own exclusive online learning platform, Stanbridge offers coursework that will help them have an edge in high-demand areas of modern healthcare and makes it a convenient and flexible way to earn their BSN while still working. California State University – Fresno offers a unique RN to BSN program that focuses on research, evidence-based practice and leadership skills. Graduates will have completed 90 hours of clinical study for hands-on learning opportunities. Those completing the program are eligible to apply for a California Public Health nursing certificate. California State University – Channel Islands provides a year-round RN to BSN program that lasts 22 months. Students get three four-week breaks to provide school- and work-life balance for working nurses. With classes meeting every Friday, students also have the flexibility to attend school around their work schedule. Sacramento State University is part of the California State public college system. Every nurse graduating from this school also get the public nurse health certificate. Students who are currently working nurses are given priority during the admissions process. California State University – East Bay offers two tracks for its updated RN to BSN program. Students can choose from an accelerated full-time option or a part-time program. The hybrid curriculum combines online learning with occasional weekly classes. Students who successfully complete either program can also apply for a California Public Health nursing certificate. Point Loma Nazarene University redesigned its RN to BSN program specifically to accommodate working nurses. In-person classes meet once per week at nearby community college campuses for added convenience, while online courses provide flexible scheduling options. 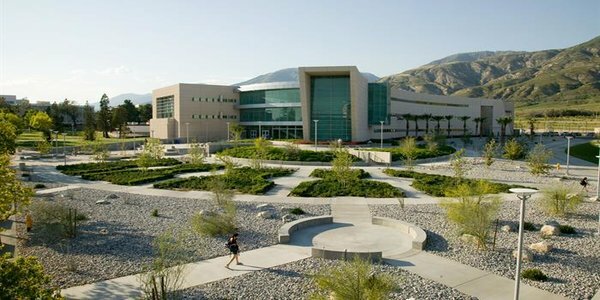 California State University -Northbridge serves 36,000 students. The school’s BSN program offers a hybrid learning option that combines 1-2 days of in-person classes each week in addition to online courses. Guidance and counseling services give students one-on-one assistance with career planning and a support system throughout the program. California State University – Bakersfield’s RN to BSN program focuses on nursing theory and research. Graduates are eligible to apply for a California Public Health nursing certificate and a certificate in nursing management. Online courses and 130 on-site clinical hours provide a well-rounded educational platform for working nurses. Simpson University in Redding, California offers a post-license nursing RN to BSN program that offers a unique class structure. Students take one class at a time every Thursday night. The progression of courses builds upon the concepts taught in each previous course. San Francisco State University offers two roadmaps for its RN to BSN program. Students can select from the College of San Mateo campus or the City College of San Francisco campus for in-person courses. Full-time and part-time options allow for greater flexibility in scheduling. Concordia University Irvine lets students choose which option is right for them. Online, on-campus and hybrid courses, in addition to full- and part-time tracks, provide flexible options for working nurses. Small class sizes for in-person courses provide a supportive learning environment. Azusa Pacific University offers two RN to BSN programs. Working nurses looking for a BSN can attend in-person courses or complete a RN to BSN degree online. With the online option, there’s no need for students to visit the campus. Clinicals are offered at local medical facilities to provide a hands-on learning experience. 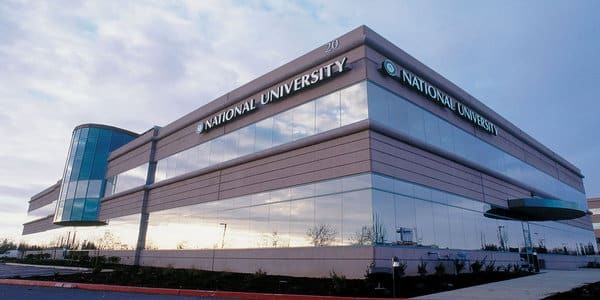 One of the best online RN to BSN programs in California is National University. It features an online RN to BSN completion program with courses lasting 4 or 8 weeks. Each student is assigned a counselor to provide guidance throughout the program. This school was founded by a retired Navy lieutenant, and it offers military friendly degree options, including discounts for military personnel and their dependents. Unitek College is a private, for-profit school offering a 100% RN to BSN online in California. Students can transfer up to 90 credits and can graduate in just 12 months, depending on courses selected and credits transferred. Each online class is capped at 20 students, providing a more supportive learning environment. Fresno Pacific University’s RN to BSN program provides a well-rounded offering of courses, including those covering community and public health nursing and nursing research. The 18-month program features both online and in-person courses to meet the demanding schedules of working nurses. California Southern University offers an RN to BSN program that incorporates current technology and patient care practices to provide students with a solid educational foundation. Online courses provide scheduling flexibility for working nurses. Loma Linda University gives students a wide selection of options for RN to BSN students. Working RNs can choose completely online part-time or full-time course loads, which can lead to graduation in as few as 4 quarters. This school’s program is faith-based and community-centered. Pacific Union College’s RN to BSN program is designed to meet the needs of working nurses. Students can attend courses full time at the Angwin campus, or they can select the Napa campus for a part-time program. This school was founded in 1882, and it is a Seventh-day Adventist Christian institution. Mount St. Mary’s University offers both a traditional BSN program and an RN to BSN option. Students attend courses during the day and must obtain at least 127.5-semester units to graduate. Nurses learn in both classrooms and clinic settings to provide a range of learning opportunities. United States University gives students the chance to obtain a BSN within 12 months through an online learning program. Affordable tuition and supportive, experienced faculty make this school a desirable option for working nurses. The Vanguard University of Southern California provides a host of undergraduate and graduate programs for nursing students. The RN to BSN program can be completed in 2 years. On-campus classes give students the chance to interact with faculty. This school was founded in 1920 with the purpose of training Christian workers to serve in ministries throughout the state. Samuel Merritt University holds courses at its Oakland and Sacramento campuses. Nurses working for select hospitals and clinics, federally qualified health centers and public health departments may be awarded a scholarship that covers the 80% of tuition costs. Brandman University offers both hybrid and online programs for working nurses to choose from. Three entry points throughout the year give working nurses flexibility when enrolling. The program starts with a 3-day virtual immersion session to help familiarize themselves with the online learning setup. Nurses graduating from the RN to BSN program can apply to the BSN to DNP program. Holy Names University gives students the chance to earn a bachelor’s degree in just 15 months. Accelerated-format courses and distance learning opportunities provide added flexibility for working nurses who want to continue their educations. Part of the school’s focus is centered on social justice values, giving students a foundation for lifelong service. All schools are ranked by a number of factors including estimated tuition, graduation rate, and NCLEX-RN pass rates, with the NCLEX-RN pass rates making up the majority of each school’s score and consequent ranking. Scholarship opportunities are available at many schools. Check the website for any school you are interested in for further details about tuition. For more information on how we ranked our pages, please see our methodology page.